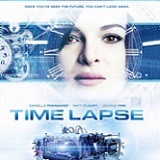 A science fiction thriller with a mind-bending premise, Time Lapse explores the possibilities of time travel via a camera that takes pictures 24 hours into the future. When three friends discover this mysterious machine, they conspire to use it for personal gain, until disturbing and dangerous images begin to develop and tear their relationship apart. Starring Danielle Panabaker (“The Flash”), Matt O’Leary and George Finn, Time Lapse combines edge-of-your-seat suspense with provocative ideas about pre-determination and free will. Callie (Danielle Panabaker) lives with her boyfriend Finn (Matt O’Leary) and a third roommate Jasper (George Finn). Finn is an aspiring artist who is currently blocked, Callie is a waitress and Jasper is a bit of a gambler. To make ends meet, Finn works as the superintendent of their small apartment complex. The owner calls to say that neighbor Mr. Bezzerides is late on his rent. When they let themselves in his apartment to check on his well being they discover a large machine. Posted near the machine are Polaroids of Callie, Finn and Jasper. Each photo is taken through their living room window at exactly the same time each day. They first think that their neighbor is a peeping tom, but they soon realize that the pictures from the machine are from 24 hours in the future. One they are sure that the pictures are from the future, the friends have to decide what to do with the information. Finn is very excited because he can see that his canvas is no longer blank in the new pictures. His block is gone and he simply has to paint what he sees. Jasper wants to send himself messages in order to place winning bets with his bookie. Callie, who doesn’t love her low paying job as a waitress is soon to jump on board. Mr. Bezzerides’ aka Mr. B (John Rhys-Davies) body is discovered and they think he may have died because he tried to change the future. The relationship between the roommates becomes strained and Jasper's bets gather unwanted attention. Even though they want to quit looking at the photos and alert the police of their neighbor’s death they fear that if they don’t repeat the photos exactly they may not have a future. Time Lapse is an interesting look at the time paradox. In this case, the people can’t travel through time but they can see their immediate futures. There is a twist ending which I won’t elaborate on that I didn’t expect. It makes you think about what you would do in this situation. It reminds me a bit of the film About Time. About Time does involve actual time travel but the star gets used to being able to have do overs. Once he has children he learns that there is a time he can’t travel past and it changes everything. In Time Lapse, the friends get used to having knowledge of the future. They start to think that they can re-do anything as long as they let themselves know about it in the photos. At the end of the film, they will learn that the stakes are real when they can’t take back their actions. I’ve recently been watching episodes of "The Flash," which is where I know Danielle Panabaker from. Because I like that show I thought I’d give it a try. I’d recently watched another movie about time called Predestination and hated it. If this one had let me down I would've shied away from time related films for a while. I'm happy to report that even though its stars and director are relatively unknown, I was pleasantly surprised. The film does drag on a bit but the ending was worth the wait. This is a great example of how a low budget film with only two real locations can be done right. Time Lapse isn’t the type of film that I’ll re-watch on a monthly basis but I will watch it again. I’m sure I’ll notice subtle details about the photos the next time around. 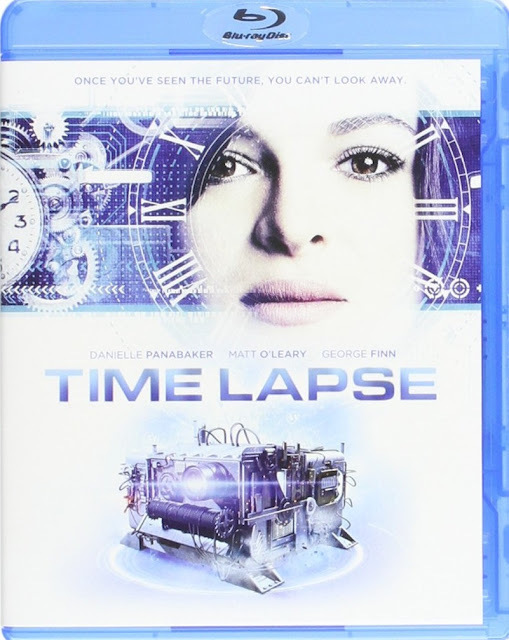 Time Lapse is presented on Blu-ray with a 1.75:1 ratio. The film has a muted color palette which helps sell the vintage look of the apartments. 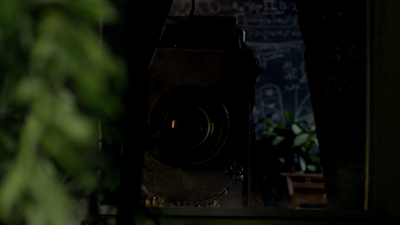 Mr. B’s apartment is especially dark and fine detail is extremely important in the Polaroid images. Imperfections in the paint and other small details help the story work. Time Lapse is a dialogue heavy film and the Dolby Digital 5.1 audio track holds up. The soundtrack is string heavy and that translates very well. The gun fire, bats to the head and all other violent moments sound authentic and realistic. Audio Commentary by Bradley King and BP Cooper – Writer/Director Bradley King and Writer/Producer BP Cooper deliver a well rounded commentary. They clearly haven’t planned their comments (not a bad thing). They discuss actors, locations, the story and the need to shoot in reverse to accommodate the next day/future photos required. 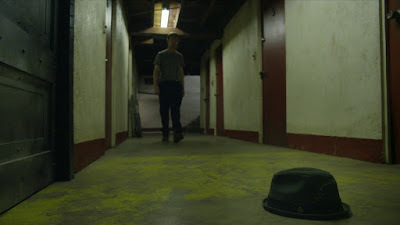 Filmmaking 101 Audio Commentary by Bradley King and BP Cooper – This commentary is directed at aspiring filmmakers or anyone who wants to know the specifics of how they made this indie film. The men discuss decisions they made, advice for what not to do and give examples of many cost saving measures. It’s a very honest look at the nuts and bolts of filmmaking and the pair gives their Facebook, twitter and Instagram info for those who would like to comment. Deleted Scenes – Available with or without commentary and with optional play all feature are “Callie in the kitchen” and “Mr. B. Flashback”. The commentary provides explanation as to why the cuts were made and the second scene is John Rhys-Davies scene in the film. The Beginning – Shows a literal timeline for the film that kept track of the details of the present and the future. A handheld shaky cam documents momentous occasions during filming like the beginning of casting. Pre-Production – A location has been found and art direction/renovation begins on the apartment complex set which was set for demolition. The future film machine is also being built as the timeline connected with yarn gets more complicated. 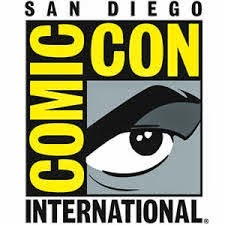 Production – Filming begins and they spend all five weeks in basically one location. They are taking the still photos which will become Polaroids and the continuity is especially complicated but important due to the time loop aspects. The Cast – The Director talks about each actor and their strengths. Final Day – This covers John Rhyn-Davies’ day of shooting, the moment of the picture wrap and shows some graffiti courtesy of the crew. The Score – We see the Director working with the composer and their recording session at Capitol Records. Festivals – The World Premier with interview panel at BIFF. The filmmakers discuss how everyone involved in this film took a chance. It turns out it was a smart chance to take. It seemed like a unique idea to me, and the filmmakers. In the special features we see them view the "Twilight Zone" episode they did not know existed where someone can see photos of the future. So maybe it wasn’t a unique idea but they still came up with it on their own. It was new to them and new to me. Listening to the commentaries you realize that Bradley King and BP Cooper are close friends that make a great team. The film is dramatic, interesting and will certainly reveal more clues in repeat viewings. The only thing I can’t figure out is how they had a day’s worth of work from John Rhys-Davies that didn’t make the film. They clearly have great respect for him and his work and you’d think they would have found room for him (while still breathing) in the film. Even if indie films aren’t your thing, I recommend Time Lapse.